How to make a full-time income in the extremely overcrowded music scene. READ & TRUSTED BY OVER 3,077 MUSICIANS! This is the industry standard for substantive knowledge of the music business. Great If you're a novice to the industry and need a solid foundation to start with. If you're passionate about earning your living with your music, then you're going to love the book. This industry is tough, the more aware you are of the potential obstacles in your path, the better prepared you will be to overcome them. If you continue marketing your music like the majority of musicians, you'll end up the same place they are (without a full-time job in music). Take a few hours to read the book and significantly improve your marketing strategy like the HUNDREDS of other musicians who have read it! I am extremely grateful for the eBook and its contents. It has helped me add dimensions to my music business plan that I would not have otherwise. 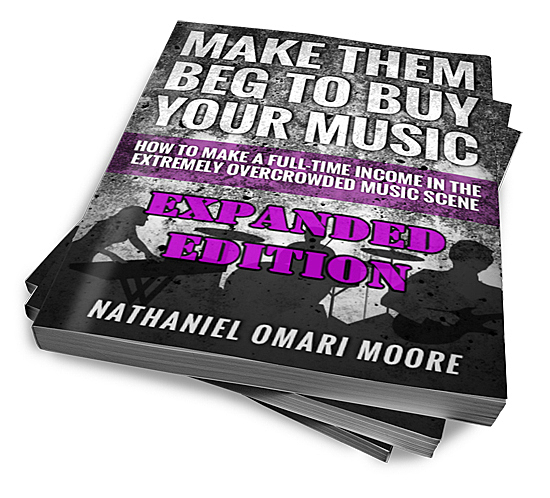 I highly recommend this eBook to any artist ready to start seeing real results as far as both exposure and music sales. For Those of you who have actually taken the time to research the history of the music business? And see how it has Evolved? Irrespective of Genre, this read sums up a whole lot of things. But it will only make sense based on your personal level of dedication, and your accepting of the realities of RIGHT NOW. You will find yourself, if you are passionate enough, reading the words, and nodding your head. Because you can see the same thing. In laments terms, its good to know that there are still soldiers out there. Good work Mr. MC. Tooth and Nail is what it must be, in order to succeed. ...At first I was unsure but i would recommend any serious artist to check this out! 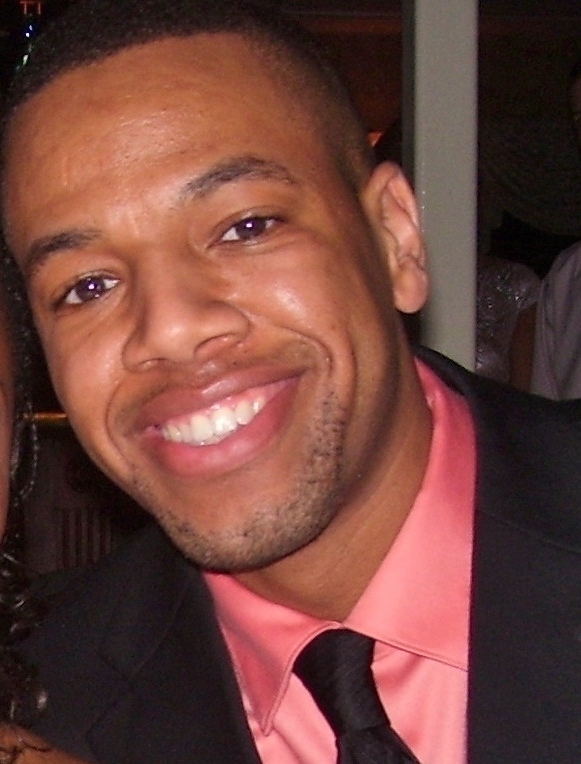 Omari MC is a professional music producer and blogger currently residing in Atlanta, GA. He began creating his catalog at the young age of 14 in Pittsburgh, PA. His instrumentals have accrued over 6,000,000 hits to date and continue to grow! He’s sold thousands of beats and instrumentals to indie artists, companies, and TV networks across the world, including Centric, Vh1, and All Def Digital. Apart from production, he runs a number of growing music blogs and sites. Including Add This Music, Tunes We’re Diggin, and SoundCloudfollowers.org. With 100’s of 1,000’s of followers on social media and over 50,000 email subscribers, musicians and music lovers alike are getting more and more familiar with the Omari MC brand!